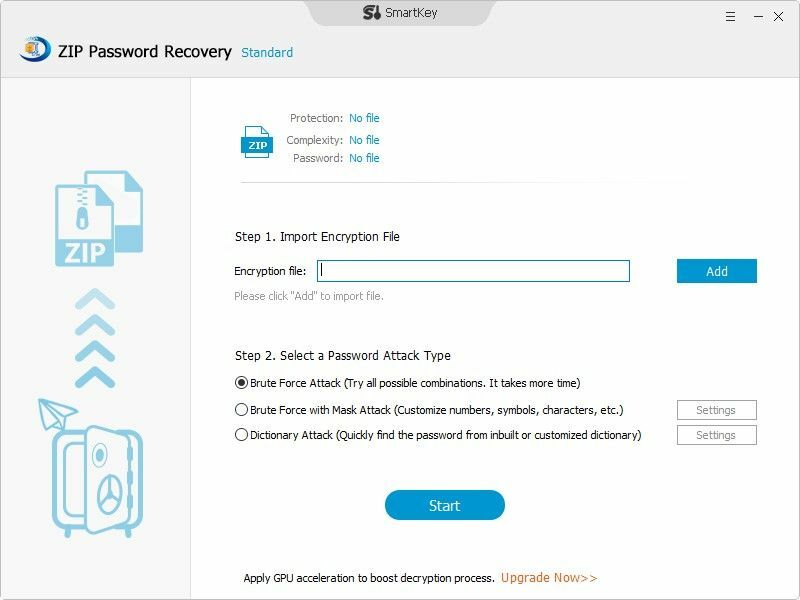 SmartKey ZIP Password Recovery Tool, an easy, effective and safe ZIP password cracker, recovers password-protected plain and self-extracting ZIP archives created with all versions of popular archivers like WinZip and PKZip. Speed up ZIP file password recovery with GPU acceleration. Support archives over 4 GB and self-extracting archives. 3 efficient attack types to meet all your needs. Super easy to use. No technical skills are required. Instantly crack password for plain and self-extracting ZIP archives. Support a wide range of encryption algorithms, including the latest AES encryption. Unlock archives compressed with various methods from shrinking, reducing, or imploding to tokenizing, inflating. Crack ZIP file created with WinZip version 18.0 or earlier. Using GPU acceleration, you can recover large size ZIP files password within minutes. Multi-core CPU processing supports maximizing recovery speed, as well. Only with 3 steps: import-select attack type-recover, you can finish the whole recovery process. Super easy-to-understand user graphical interface guarantees an easy operation. You can even resume ZIP password recovery process after a sudden stop or crash. Support working on Windows 10, 8.1, 8, 7, Vista, XP, 2000, 2003, 2008 etc. 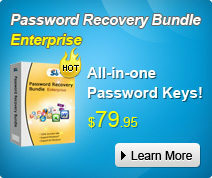 Support recovering or removing multilingual ZIP password characters. ZIP Password Recovery rated 4.5 stars by CNET editors. It's so easy to recover ZIP password for you to extract the encrypted Zip/WinZip/PKZip files. Thumbs up!